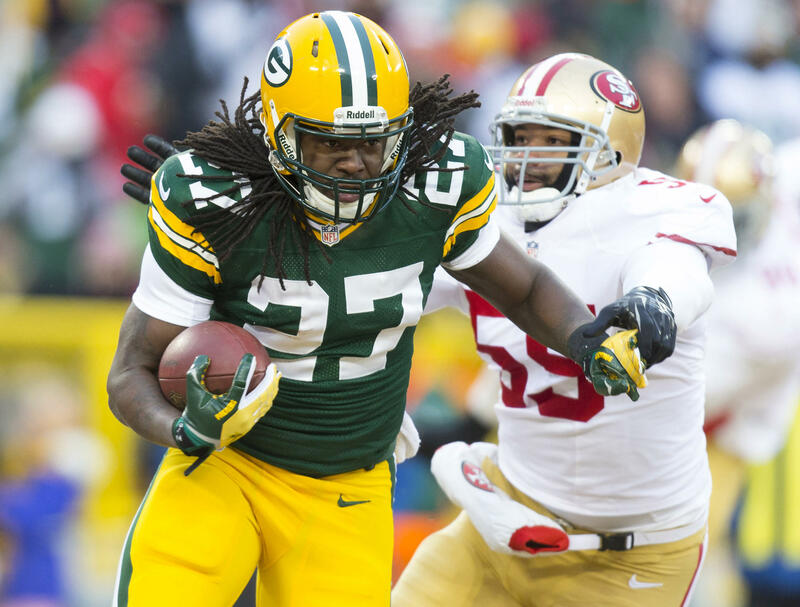 As if he needed more hype, Packers running back Eddie Lacy looks better than ever in Green Bay. Lacy had over 300 touches last year and should easily match that again. He’s a top five dynasty running back. On the heels of a glowing report, it looks like Jets rookie tight end Jace Amaro still has ways to go. He struggled in minicamp while adjusting to an NFL playbook. He’s still high on dynasty boards but his 2014 production expectations should be reigned in. No surprise that the Giants brought in Rashad Jennings to be a ‘bellcow’ according to general manager Jerry Reese. Jennings could flirt with RB1 status this season but anything beyond should be considered a bonus. This entry was posted in Daily Update and tagged eddie lacy, jace amaro, rashad jennings. Bookmark the permalink.